Simple and uncomplicated best describes this seafood treat, check the website for times and what’s on the menu. Once you have a date in the diary at Keep Cottage, it is best to book as during the busy summer months the Oysterage is quickly booked up. You will receive a warm welcome from Ian and Suzanne the landlords and their crew, where they keep Adnams real ales, regularly have speciality nights, where the food is themed. Adnams real ales are served, the menu is seasonal and they have a fabulous side room which you can book for a party of four to six. Although now famous for their doughnuts (thanks to the Academy Awards 2015) Pump Street Bakery is loved locally for their Artisan bread and fresh croissants and pastries which are baked daily. The bakery and cafe are run by Chris and Johanna Brennan the father and daughter team – Chris started his passion for baking bread at Keep Cottage who owned the cottage before Niall and Sara. You should also sample their amazing range of small batch chocolate, also produced locally with the cocoa baked in the bread ovens, it’s utterly irresistible. Co-owned by Ruth Watson (TV presenter), David Watson and Tim Sunderland, where they have two AA rosettes, the food is good and honest, its was when staying at the Crown and Castle that we fell in love with Orford. Lady Florence is an historic wooden ship take a cruise on the calm waters within the Rivers Alde and Ore where you can enjoy brunch, lunch or supper. The Unruly Pig is a 16th Century Suffolk Inn. Serving a fantastic range of dishes, cooked with passion, the burgers are fantastic. The service is friendly with an atmosphere of querky contemporary and cosy. Its a great place to stop off for supper. We have so much more for nature lovers, from a trip to Havergate Island through to a nature reserve with a 20th century military history. Havergate Island is a famous RSPB sanctuary which is teeming with wildlife, from rare birds to the even rarer brown hare. …or a drive away, there’s Minsmere. 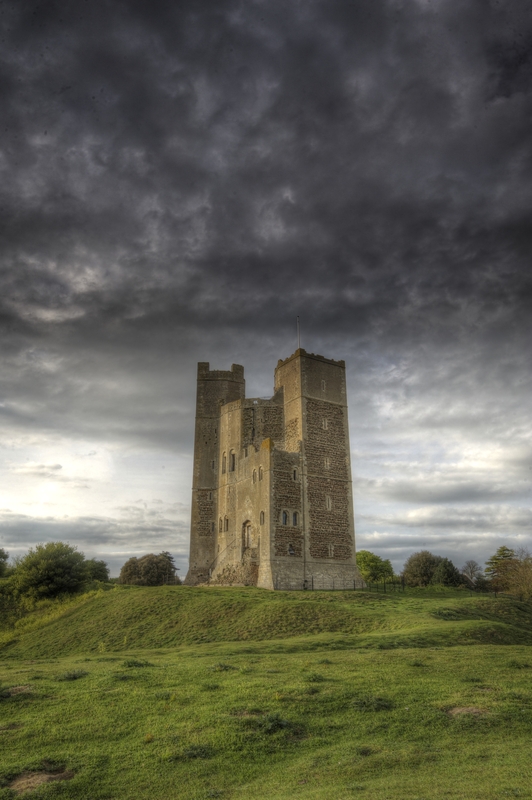 We are never short of a bit of culture in and around Orford, whether it’s catching a classic movie or a touring play at the town hall through to world class performances at the famous Snape Maltings concert hall. There are a number of wonderful cinemas in our area including the Riverside Cinema in Woodbridge, Aldeburgh has the latest movies showing or visit Southwold for the Electric Picture Palace where you will find a commissionaire outside, usherettes, a front of house manager in a DJ, and a “Tiny Wurlitzer” organ rising up mysteriously during the interval. This is a querky treat. Orford has one of the most attractive village churches in the UK, St Bartholomew’s. The church is open every day for visitors. Service details are in the cottage, we have a monthly Link magazine to keep us up to date. It is said that Orford Ness still has many secrets from the Governments Secret Research Centre on the Ness, its worth a visit and take a look at this for more information. You will find Ordnance Survey maps and a number of local books on the shelves of Keep Cottage, we have so many beautiful walks, so bring your boots or sturdy shoes. We have two bicycles which you are welcome to use, a ladies and childs hybrid. Its also possible to hire cycles from http://www.suffolkcyclehire.co.uk/, where they have a great range of bicycles and are happy to deliver them to the cottage. The cycling is as easy or difficult as you wish to make it… you will see ladies and gentlemen in Lycra – alternatively, you can amble along at a steady pace, there is plenty to see and the roads are nice and flat. Also take a look at http://www.suffolkyearofcycling.co.uk/ for the 2016 program of events. There are tennis courts by the sports pavilion. Racquets and balls are at Keep Cottage, however if you are a serious player you may wish to bring your own kit and caboodle. You will find a number of golf clubs, Woodbridge Golf Club welcomes day visitors to 27 holes on its heathland courses. Having benefitted from the magical work of Heather, I and my girlfriends cannot recommend Suffolk Massage Therapy enough. Have your treatment in the Garden Room at Keep Cottage, you will be transported to heaven. Go to the quay and take a cruise along the River Alde to Havergate Island or climb up the Keep, which is just a minute walk away. Orford Food Market returns from 9 May 2015 – where you will find a wonderful range of local produce. We are delighted to have Nanny Manda as part of the Keep Cottage team – we understand its sometimes good for the children to escape their parents, and have found a safe pair of hands in Manda. why not give Nanny Manda a call, where she will be happy to help during the day or in the evening.